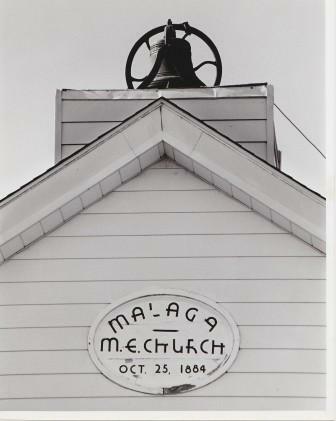 The Malaga Church was built in 1884, under the guidance of the Pastor, J.G. Edwards. 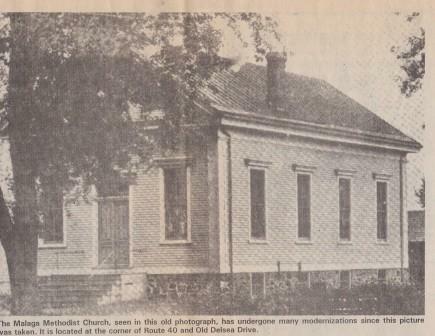 It known as the Methodist Episcopal Church. 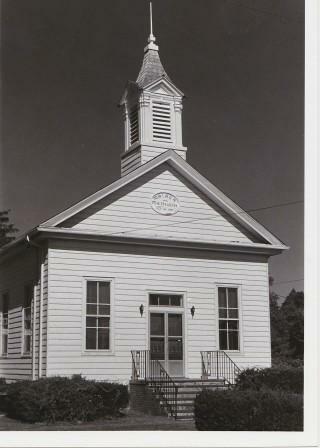 The building was dedicated on October 25th, 1884. The dedicatory sermon was preached by Dr. O'Hanlon, of Pennington. 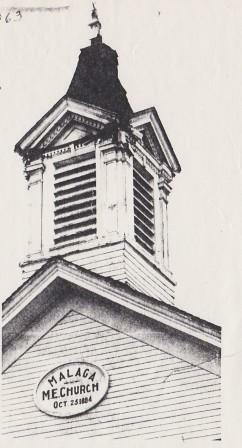 The belfry was added during the ministry of Rev. 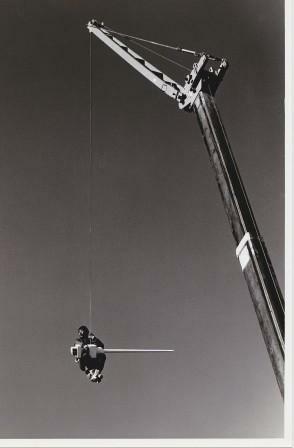 Christian Ernest. It was dedicated in April, 1913. In the late 1800's, the parsonage was built. 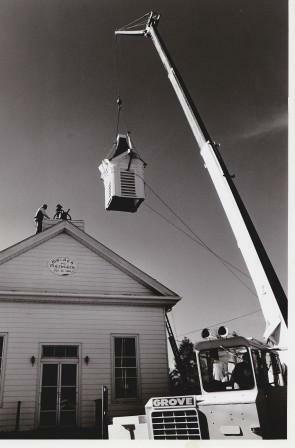 The Ladies Aid Society raised the funds for the building. 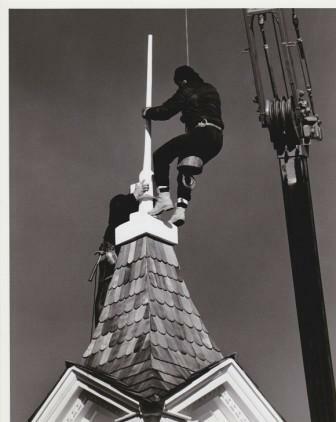 In 1939, the Methodist Episcopal Church and the Methodist Church were joined under the name Methodist Church. 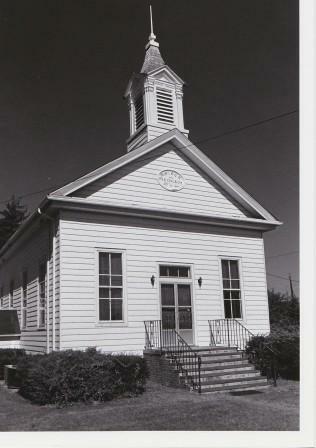 Although Malaga was settled earlier than many other locations in South Jersey, it had no church until shortly before the Civil War. 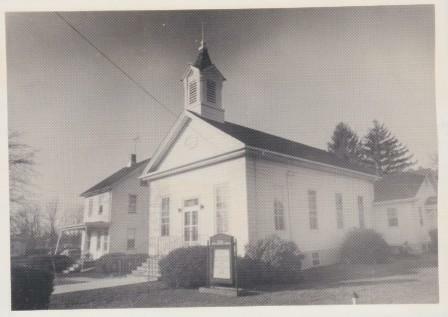 Until then, worshippers attended the Willow Grove Church or Zion Church at Porchtown. A Church Society was formed in Malaga in 1857, meeting in members homes or in the public hall. Malaga then belonged to the Willow Grove Circuit which had been founded in 1803. 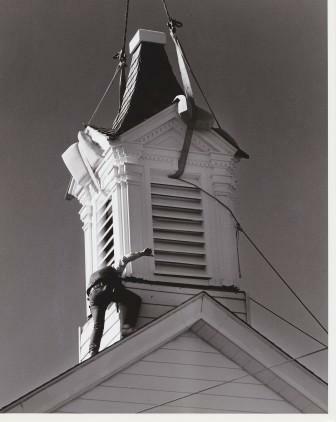 Two preachers traveled the Cumberland Circuit (all of Cumberland County and part of Salem County) conducting services in each church every four weeks, with Local Preachers or Class Leaders in charge the other Sundays. In 1885 the name was changed to the Malaga Circuit. 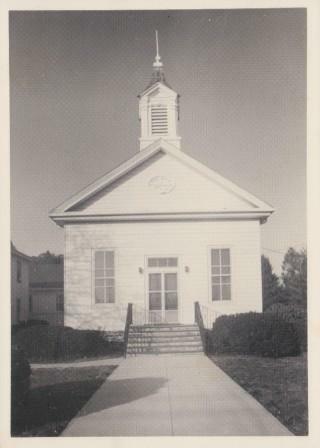 A hall, given by the Order of the Sons of Temperance to the Methodists was moved to a newly purchased lot adjoining the cemetery, converted into a church, and used by the 40 members until 1884. 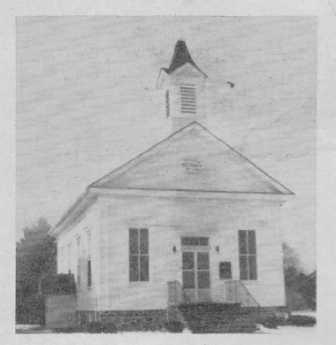 The Quarterly Conference of the M. E. Church, meeting at Malaga, appointed Elijah D. Riley, then Secretary of the Board of Trustees, John B. Hay, Sr., and Isaac Wescott, a committee to secure a site for a new church building. 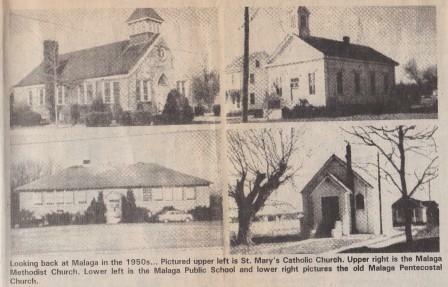 The Malaga Glass Manufacturing Company exchanged the old Church building for the two lots where the present Church and Parsonage now stand. 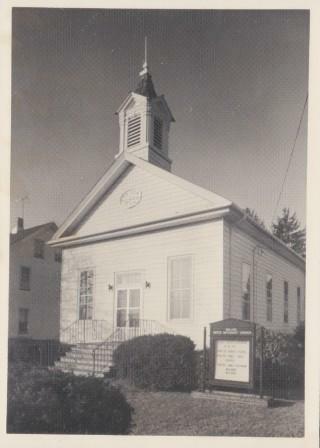 The Old Church building is now a two-family house on the corner of Delsea Drive and New Street. 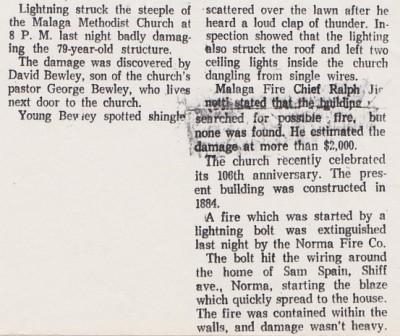 The old Nichols property, south of the Parsonage, was purchased through a mortgage held by Charles Hagerman who personally paid the final amount in 1966. This is used as a parking lot and provides room for future expansion. 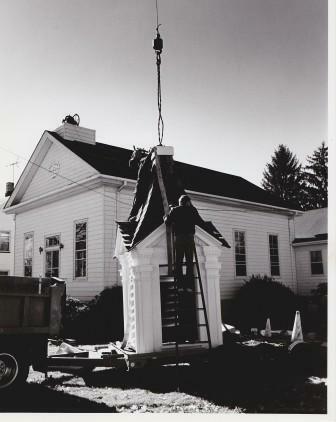 The addition of the Church School Building in 1967 was the first major change in our Church since the present structure was built. 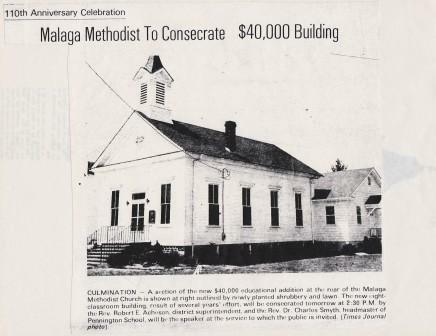 Today Malaga United Methodist Church stands ready to serve the community of Malaga as it did over One-Hundred and Thirty years ago. In conclusion, honor is given to God for the faithfulness of our members over the years for their dedication to service, prayers and generous giving, Thank you and Glory be to God! 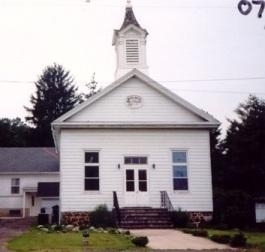 We, the members of Malaga United Methodist Church, are taking a journey down the road to "Adventure in Accomplishment". We are stepping out with Courage, with Faith, and with the feeling that it is the Lord's will. 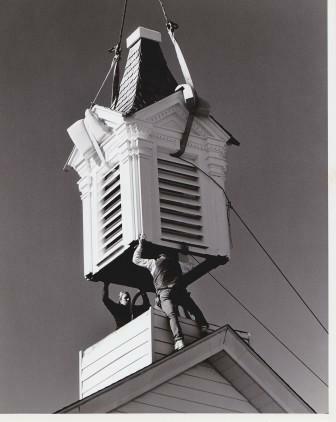 Over One Hundred-Twenty Five years ago, the brothers and sisters of this Church took a journey, and the goal they accomplished was the building of the present Church. We have the same courage, the same faith, and we serve the same Lord. With much prayer, and with full effort, we shall succeed as they did. Using the words of one of our favorite hymns written by Samuel Wesley, "The Church's One Foundation is Jesus Christ her Lord". Christ came to this world to set the example, to teach us, and to show us the way we must live to receive Eternal Life. As Christians, it is our heritage and our responsibility, from Christ and from our Fore-fathers, to learn for ourselves and to teach the youth who follow for they will be the future Church.